I hope you are not expecting a rant on why “Job Boards/Search are Dead!” An overly dramatic sigh escapes me whenever such a headline crosses my Twitter feed. *Yawn* Been there, survived that dystopic sci-fi novel. 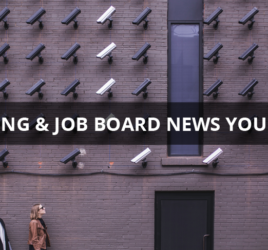 The problem with Job boards is (wait for it)… not the job board at all – It’s the people who use them! Let me explain. Job Boards often suffer from the same lack of clarity. Many expect a “build it and they will come” situation to occur once they’ve set up a job board. But if you’re not addressing the problems of your job board users, you’ll have a harder time working out your own. So how can you help your customers and candidates clarify their goals and treat each other better? Part of this challenge is taking ownership of your job board. Regardless of what technology partner you may work with to power your job board, remember to own your board and your brand. Don’t undervalue your job board’s potential to thrive by letting someone else take credit for it. In the story of your job board, you are the hero, not your technology partner. For the recruiter or the employer trying to fill a position, your job board needs to be the wise mentor and/or helpful sidekick, so that they can be the hero of their story. Focus on how you’re helping them, how you’re solving their problems, and communicating and demonstrating why spending their recruiting budget on your job board is money well-spent. 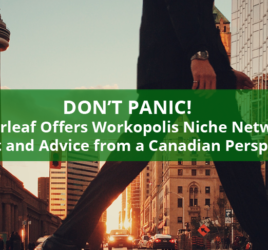 Don’t get sucked into doom-and-gloom hype that draws attention away from what a job board actually does: connect candidates and employers with each other and help them find the right fit. Ask yourself how you can keep making that happen in different and better ways. The details of how that’s accomplished will change, and you will adapt and adjust your plan as time goes on.